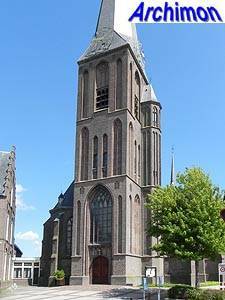 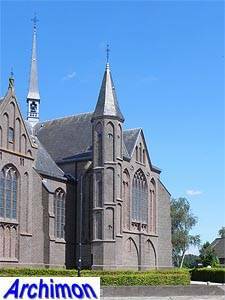 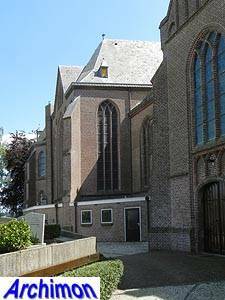 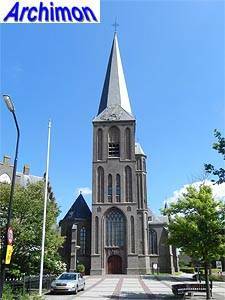 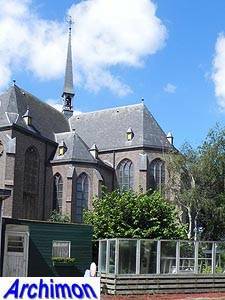 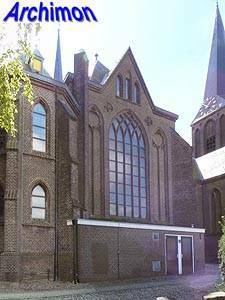 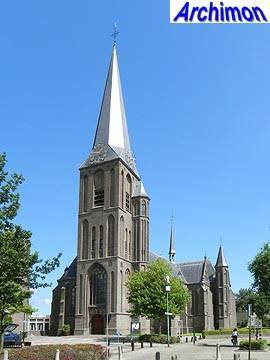 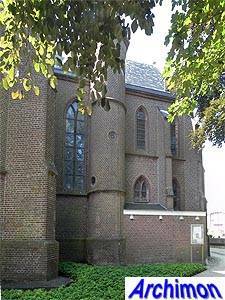 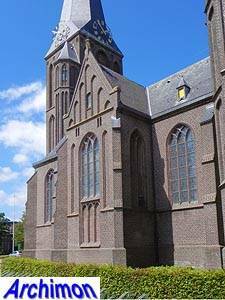 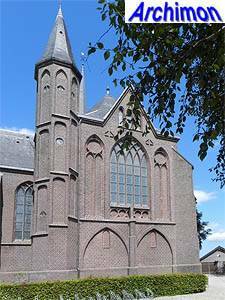 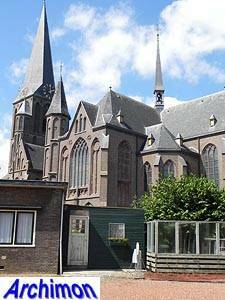 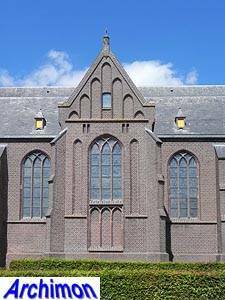 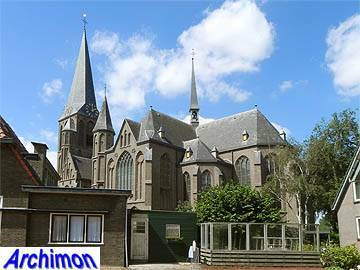 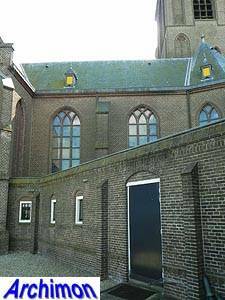 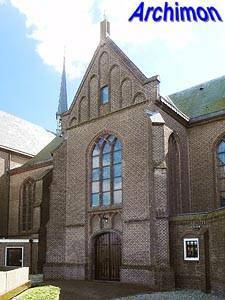 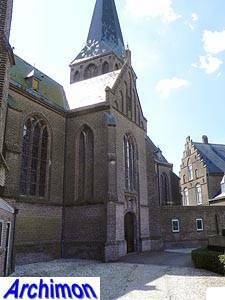 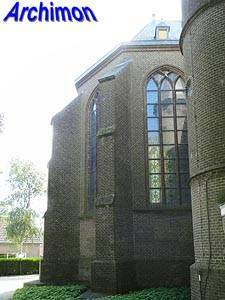 In 1875-1876 a new catholic church was built in between the villages Mijdrecht and Wilnis, which together formed a parish. 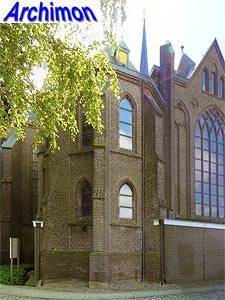 The church was designed by architect A. Tepe and is one of his early works. 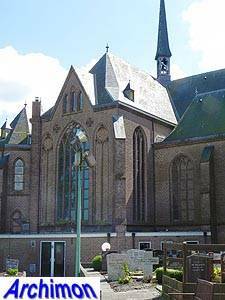 It's a three-aisled church that combines characteristics of a pseudo-basilica and a hall-church of the German 'Stufenhalle' type. 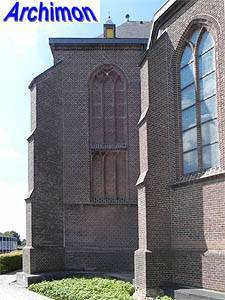 The tower has no buttresses and is ornamented with niches, as is the polygonal stair-turret. 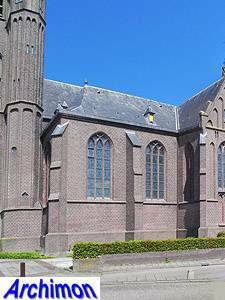 The three aisles of the nave are each covered by seperate roofs. 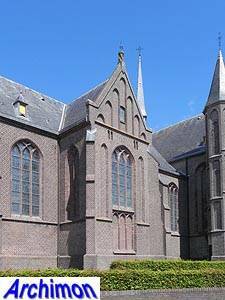 While the northern side-aisle has a polygonal chapel at its front, the southern side-aisle has a straight front. 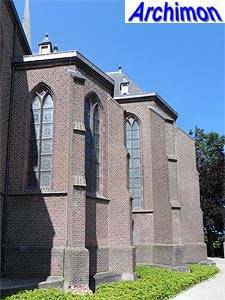 The nave appears to be crossed by two transepts, but the most western of these is actually a couple of chapels with facades decorated with blind niches. 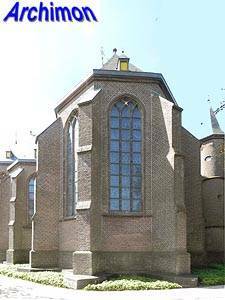 The actual transept is decorated in a similar way. 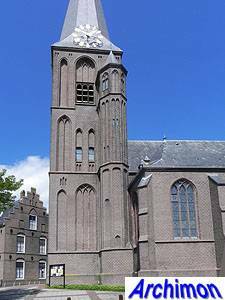 The southern transept-arm has a polygonal stair-turret on its western side and apolygonal chapel on its eastern side while the northern arm has a sacristy and a cilyndrical stair-turret on its eastern side.